My lovely hairdresser Bec @dextresshairsalon has been having private sewing lessons for about 12 months. Today we put the finishing touches on a grey linen top she has been making. 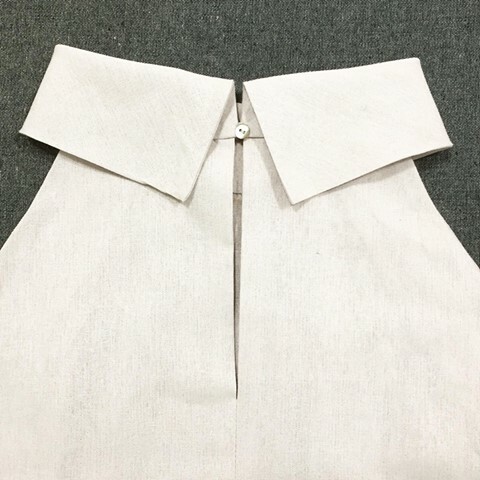 This is the back view showing the bias cut roll collar, back slit opening and shell button closure. A custom made button loop secures the opening. I taught Bec how to make the very neat and discreet loop using thread. As a hairdresser, Bec has a great eye for design and this has been reflected in every garment she has chosen to make. This top is no exception with its cut in armholes and pleated front.